Few understand President Trump’s strategies because they don’t know the long term objectives; they don’t know what’s going on behind the scenes. That’s war. It’s the typical secrecy. Espionage. Outsmarting the insidious surveillance. Staying five steps ahead of the enemy—and timing! Timing is everything. Even before Donald Trump announced his candidacy, the cabal had his number. They did everything they could to prevent him winning the election and failed. His life is on the line, as are his family’s. As I see it, over 18 months into office, and with all the positive changes Trump has made and the delightful surprises… I think we just have to trust he and his team, and those he has allied with, like President Putin, and Kim Jong-un. Most of what we see is for show; it’s theatre for those under hypnosis who don’t understand the true situation on our planet. We know the situation, and where we’re headed. President Trump has many skills, and he’s a great salesman. Sometimes he will under-promise and over-deliver. The leaders in nations working to eject the cabal and bring peace to Earth will go along with “the plan”, which is never what it seems, until perhaps after the fact. There is indeed, madness to his method. The deep state is terrified any time Trump or one of his soldiers goes to meet with a world leader on their turf because they don’t know what they’re talking about or what information they’re sharing. They particularly didn’t want President Trump meeting behind closed doors with Putin. Why? Why did they want to interrogate the Russian translator for that meeting? …because they know what kind of information they’re sharing, and that they are strategizing, and that it will mean their demise. The only things going for the deep state now are their vise grip on the media, and their “weather weapons”. They are hitting us hard with geoengineering and our losses have been great already. It’s unavoidable, but we’re doing the best we can under the circumstances. The New World Order is passé and they know the positive forces have the power to unseat them now, and they are terrified of what will happen to them. Even those within their ranks are surrendering power, like the British Royal Family, for instance. It’s looking like Donald Trump just may be the last and greatest president ever in America. The only way the psychopaths can prevent the plan from unfolding as planned is to eliminate Trump, by whatever means necessary—be it personal or political assassination. The gloves are off and they aren’t hiding anything. They openly broadcast the most outrageous things and their agenda is on the table for all to see. No matter what they do, however, it’s too late to stop this train. 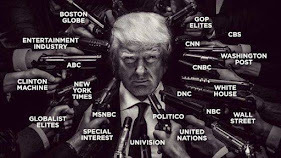 Trump is working in concert with others, and there are multiple teams across the planet doing what must be done to take control and liberate us all. As of July 27, Mars has dropped in for the closest visit to Earth in 15 years to encourage us to finish this battle for the liberation of Planet Earth/Terra/Midgard. Let’s make the most of it. The President made another inspiring speech in Illinois recently and he never disappoints. He begins by calling out the “fake news”, and goes on to detail the outcome of his meetings regarding NATO with all manner of diplomats… “and a dictator or two”. Love his sense of humour. He says he likes doing these rallies because all the cameras are there “like the Academy Awards” and most of the coverage is live, they can’t sensor him, and the public gets “their” messages unedited for the most part. He says it’s not from him, it’s from his administration. He is what I would call “the People’s President”. He listens, he participates, he engages the People. Unlike previous administrations, he is working for the People, and really is making America great again if any of the statistics and personal stories from the public can be believed. They see his vision and trust he can make it happen because he already is. And the President really is there among them—unlike the glitchy, holographic speeches Hillary Clinton broadcast when her arm went missing, etc. People are sick of the lies and deceit; corruption and psychopathy. Everyone on the planet should be thankful that Hillary Clinton was eliminated from the race. It’s time to get real. In this video, Jason Bermas of WeAreChange gives you the latest breaking news on North Korea keeping its promises to the United States. Kim Jun Un has made good on his promises to Donald Trump regarding returning fallen US soldiers from the Korean War and appears to have begun dismantling its nuclear arsenal. This is a huge win for the administration and Trump himself.